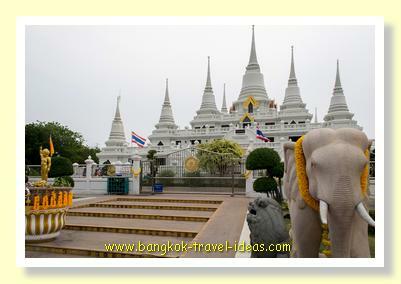 Plan a Bangkok Airport layover when you next travel to Europe, China or Australia via Asia, to break up the long journey. If you plan to layover in Bangkok Suvarnabhumi Airport you will find that it makes the whole flight experience so much more comfortable if you can take some time out to re-hydrate and sleep in a proper bed. Although it is not always possible to break your trip and have a rest, it is something to consider the next time you fly via Bangkok. Even if you don't plan to break your long trip then your flight itinerary may require you to change planes in Bangkok and depending on your destination you may find that there is some delay until your next flight. It is at times like these that you need to be creative. If you only have a few hours delay between flights, then take the time to wander around the airport and do some shopping in the brand name shops and pick up some gifts for family and friends. If you are not into shopping then why not take a massage, or treat yourself to a sauna at Chang Massage and Spa on the departure floor. There are a range of things to do if you plan to layover in Bangkok Airport that can fill in the time and make you more relaxed for the onward journey. Young children's interests are catered for in the small play area at the start of Concourse C and your trip will be so much easier if you know where to go in the airport complex. Read through the following suggestions of things to do during a Bangkok Airport layover and you will be so much more prepared. With a Bangkok Airport layover of 2 hours to 5 hours between your flights, there really is not enough time to leave the airport and be back in time to comfortably catch the connecting flight. So here are some suggestions as to how you can make the most of your time in the airport. 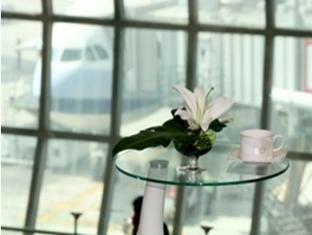 When travelling Business Class then you should have access to the Bangkok Airport lounge of your airline. Here you can freshen up, have something to eat or catch up on your emails and reports. Airline lounges close at night, typically between about midnight and 5:00 am, so plan ahead as most shops also close during this period and so although the airport is open, there is not much going on in the early morning period. However if you don't have access to an airline lounge and you want a place to sleep or shower in Bangkok Airport, then there are a few other lounges that you can use. The more popular ones are the Miracle CIP Lounges and the Miracle Transit Hotel day rooms, (formerly known as Louis' Tavern Transit Lounge). This is the only Bangkok Airport Transit Hotel in the Airport, although they are in several locations around the place. The Miracle Transit Hotel Dayrooms are a great option if you need to have a bed and get some sleep and the CIP lounges are a good choice if you want to have a shower in Bangkok Airport, freshen up between flights or just to catch up on your emails. The Miracle Transit Hotel has day rooms at Suvarnabhumi Airport are available for 6 hours blocks and can be booked directly through Agoda. Here you can have a shower inside Bangkok Airport, take a good sleep in private and be fully rested before continuing your travels. You don't have to be a member of Louis' Tavern to book the Day Rooms in Suvarnabhumi Airport and the price is very affordable. 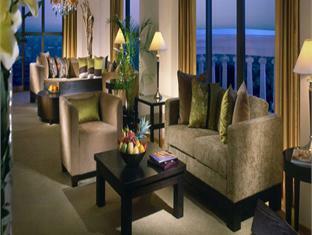 It makes good sense to book ahead to be assured of accommodation and take advantage of the discount rates available. Transit passenger do not automatically have the Bangkok Airport departure tax automatically added to their onward international ticket because if the length of time between connecting flights is less than 12 hours, you are considered to be in transit. So once you factor in that you do not have to pay the departure tax of 700 baht on re-entry to the airport, it makes these rooms all the more attractive. 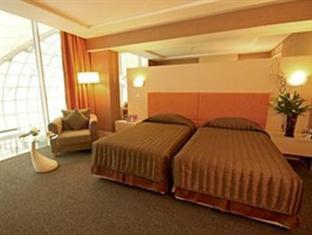 With a bit of planning your Bangkok Airport Layover can be very comfortable. If you are a frequent traveller and often get stuck with a short Bangkok Airport layover during your travels through Suvaranabhumi Airport, then there are paid lounges in that can be used for the duration of your layover. Louis' Tavern which is part of the Miracle Group also have a total of nine lounges in the airport, spread around the different concourses. These lounges are very popular with travellers and come with showers, internet and a smoking lounge and some of them are open 24 hours. So if you need a shower in Bangkok Airport and are someone who travels regularly for business, then a Priority Pass membership is just ideal, because you can gain access to over 1200 other airport lounges worldwide and 70 in the US alone. 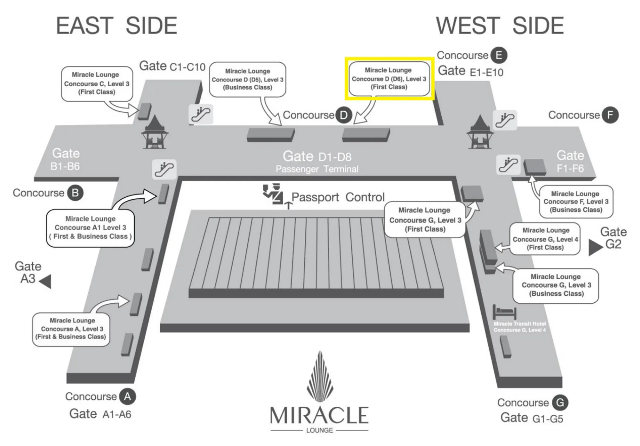 Concourse A (below left) is where the Domestic flights depart and Concourses B, C, D, E, F and G are where International flights depart. 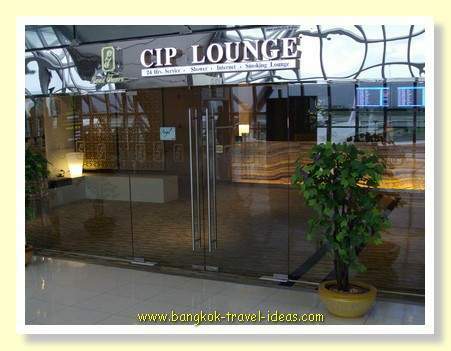 With a Priority Pass membership you can gain access to the Miracle CIP lounges in Bangkok Suvarnabhumi Airport. 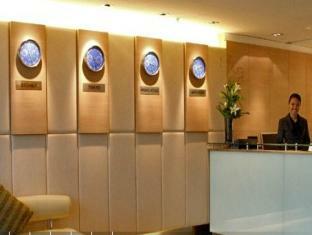 Then use the "FIND A LOUNGE" button and enter "Suvarnabhumi Airport" to see the available lounges and final pricing. Can I leave Bangkok Airport? 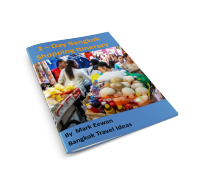 If you have a medium length layover in Bangkok of 6 hours and up to 10 hours during the daytime, then it is worth considering leaving the airport to go and have a look around Bangkok. You can read my travel diary of a 6 hour Bangkok layover here to see what is involved if you decide to leave Bangkok Airport. 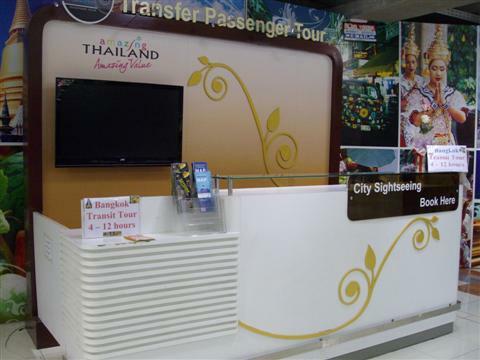 Suvarnabhumi Airport used to run its own range of transfer passenger tours for people just like you with long periods between connecting flights. These tours have been discontinued and the desks are no longer in the airport as of 2015. The transfer passenger tours range from visiting temples, going shopping to playing a round of golf. I haven't used any of these tours, so can't comment on the quality of them, but the pricing seems competitive and they will ensure that you get back to the airport in time for your connecting flight. The transfer passenger tour desk is currently located at the intersections of Concourse D and Concourse C and Concourse D and Concourse E on the arrivals floor. Sadly this service is no more. Treat yourself to a massage in Bangkok Airport if you don't have the inclination to leave the premises. There are a couple of options for those of you stuck air-side that will make the time go a little more quickly. Many people find that travelling in excess of 12 hours or so can be very tiring. Travellers can suffer dehydration, boredom and fatigue. One option available to the international traveller is to plan a break between flights; the so called "Bangkok Airport layover" or "stopover". So for your next long haul flight via Asia, consider taking a connecting flight on the following day and either sleep in Bangkok Airport or stay in one of the many nearby Bangkok Airport Hotels. Not only will you arrive in a much better frame of mind, but you will have had the chance to experience some of the interesting sights in and around Bangkok. In general, when the time between flights is this long, then you really do have time to leave the airport. Here are some further suggestions to consider and how to plan your time to make the most of things. First and most importantly is to plan your time, as you don't want to miss that connecting flight or cause yourself undue stress. 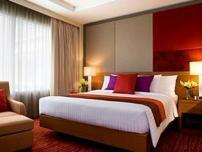 The whole idea of having a break is to refresh and relax you and to make the most of your Bangkok Airport layover. Upon arrival at Bangkok Airport allow yourself 45 minutes to pass immigration, collect your bag and get out of the airport, another hour to get to your hotel in the city and check in. 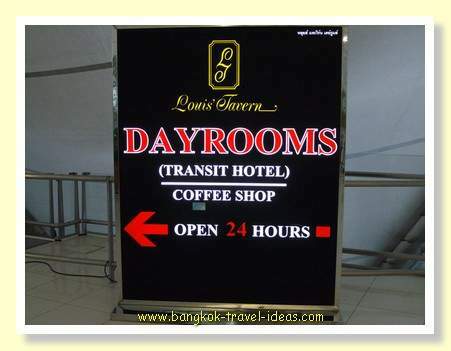 The rest of the time on your Bangkok Airport layover is yours to use as you see fit. On the return leg, then as a guide if you check out of your hotel 3 hours before your flight departure, then that should be plenty of time to allow you to fight your way through the Bangkok traffic and get back to Suvarnabhumi Airport to catch your onward flight. If you are flying economy, if it has been raining or if it is a peak traffic time, then do leave your hotel in plenty of time, because there have can be very heavy traffic on the motorway from Bangkok to Suvarnabhumi Airport and this has caused some people to miss their flight. If you don't want to stray too far from Bangkok airport then you can review this listing of Agoda Hotels near Bangkok Suvarnabhumi Airport. I have reviewed all Hotels based upon the posted traveller reviews and have whittled the list down to six. In fact I have tried a few of them and written a short review. Go to Bangkok Airport layover to read more and follow up on the progress of the Hotel reviews. 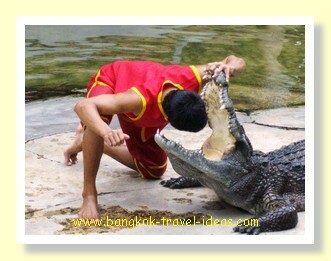 If you decide to stay close to Bangkok Suvarnabhumi Airport on your Bangkok Airport layover then you will be very close to these Bangkok tourist attractions that are well worth visiting. Whatever you decide to do, make sure you use your Bangkok Airport layover in Suvarnabhumi airport to your advantage and so that you feel refreshed for the second leg of your journey. If you have a short stop at Suvarnabhumi Airport and you need a Bangkok Airport layover hotel, then try out this Agoda booking link to Boxtel. These sleeping pods are located in the basement of Suvarnabhumi Airport along the walkway connecting the Airport to the Novotel Suvarnabhumi Hotel. If you are not sure where the underground walk way is, then you can watch this video to orientate yourself. 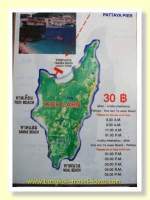 as it is located before the Immigration checkpoint. These types of Bangkok sleeping boxes are more comfortable than they sound and it certainly beats sleeping on a bench somewhere in Suvarnabhumi Airport and running the risk of someone making off with your luggage. 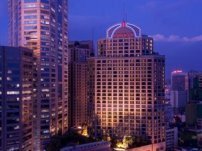 If you are truly in International transit then you should stay at the Miracle Tavern hotel located inside the airport as this is the only Bangkok Airport Transit hotel.